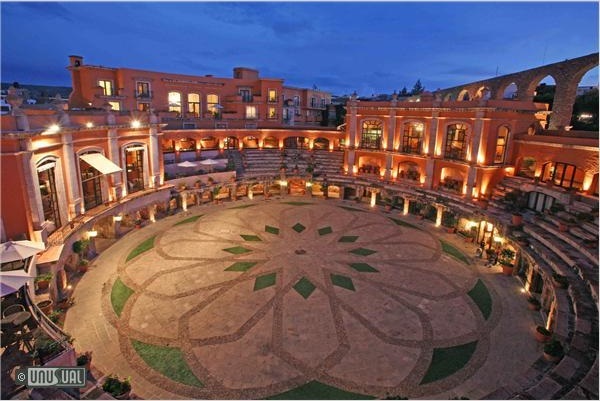 Converted bullring, now luxury hotel combining history with service. 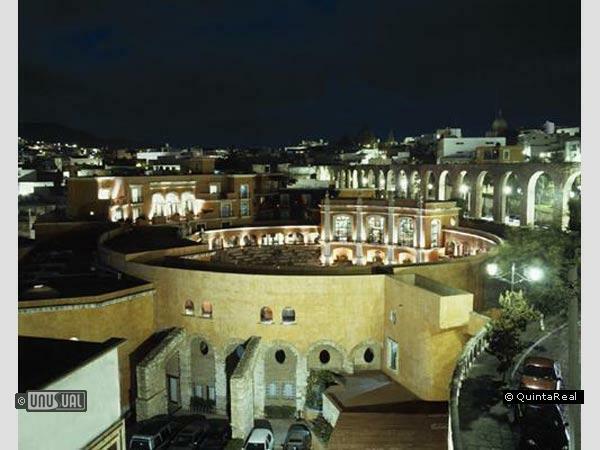 One of the world's most unusual hotels, the Hotel Quinta Real Zacatecas encircles the 17th Century San Pedro bullring. Blending the luxury of a modern, all-suite hotel with the splendour of original, colonial architecture, the hotel faces the city's ancient arched viaduct. 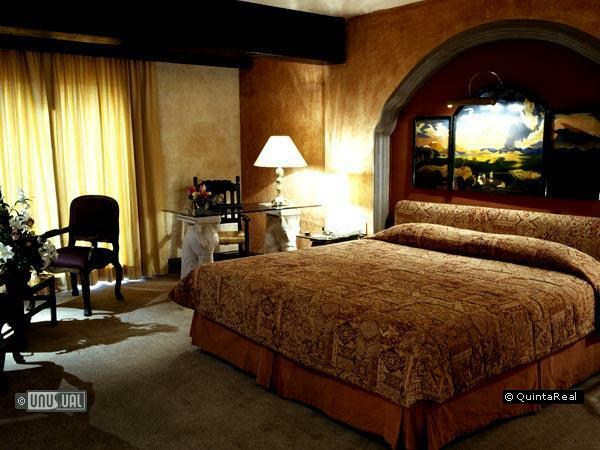 Your bed is recessed under a stone or wooden arch, in keeping with the splendid, colonial architecture of the hotel. 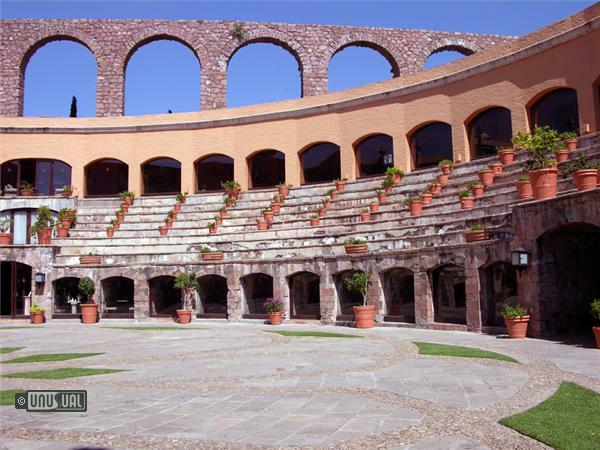 Several rooms overlook the main plaza too. 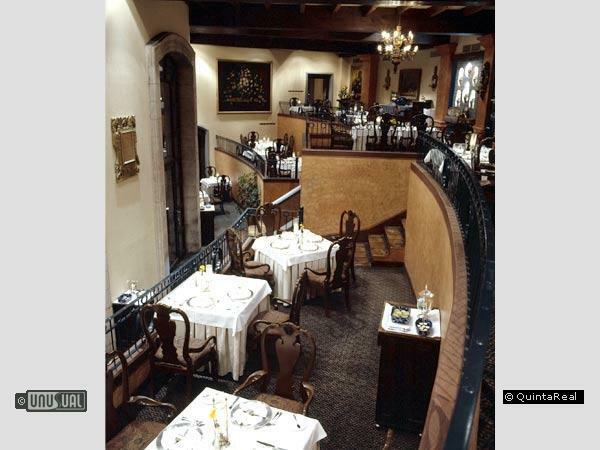 The hotel provides the setting for memorable dining. Mexican and international cuisine is available at La Plaza restaurant, and El Botarel bar, with its colonial atmosphere and live music, is open from 6 pm until 1 am. Both are magnificently decorated and overlook the bullring plaza. 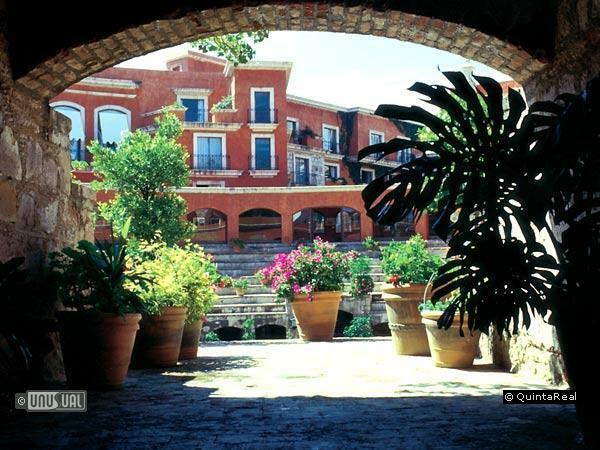 Quinta Real Zacatecas was built right into the old Plaza de Toros de San Pedro next to a majestic aqueduct that frames the unique beauty of this colonial city of limestone and silver. Offering forty-seven suites including an immense Presidential Suite - room prices vary with size and season, with junior doubles available from around US $ 180 per room per night inclusive of taxes, breakfast and service. 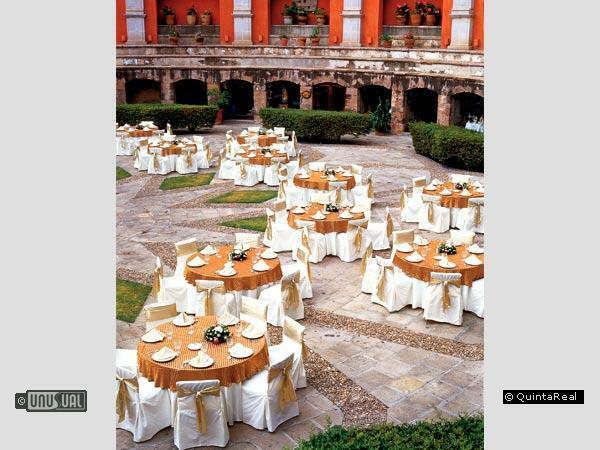 The hotel can provide conference, banqueting facilities and meeting rooms for up to 200 people. 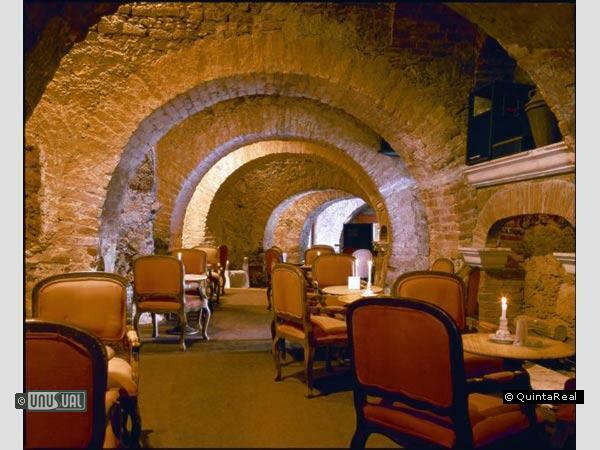 Cuadrillas salon and Toriles are ideal for meetings while San Pedro is perfect for conferences. 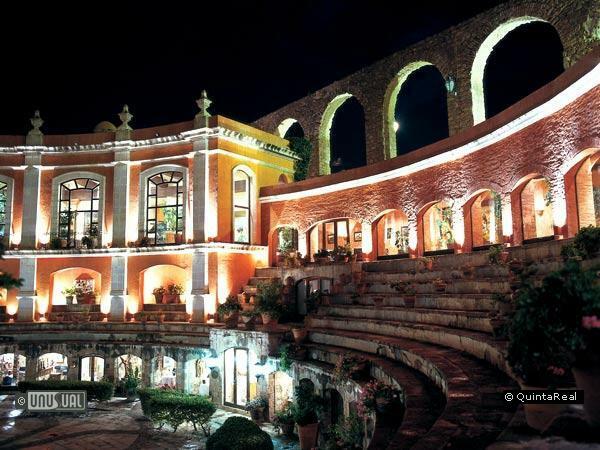 Fabulous, atmospheric themed-evenings can be arranged in El Ruedo, the bullring, which is a stunning place to hold cocktail parties. 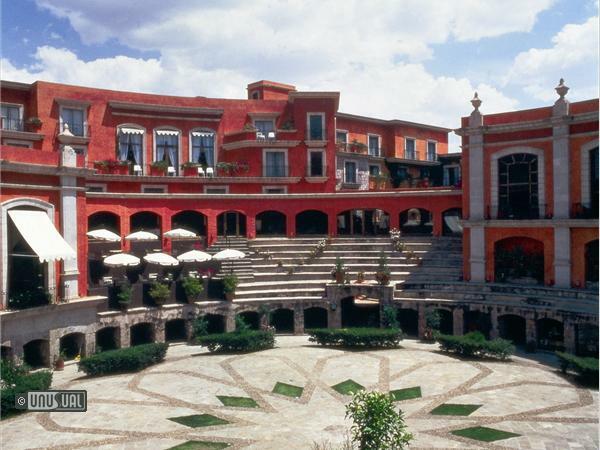 Quinta Real Zacatecas is located 5 minutes from downtown, and a 20 minute ride from Zacatecas International Airport. 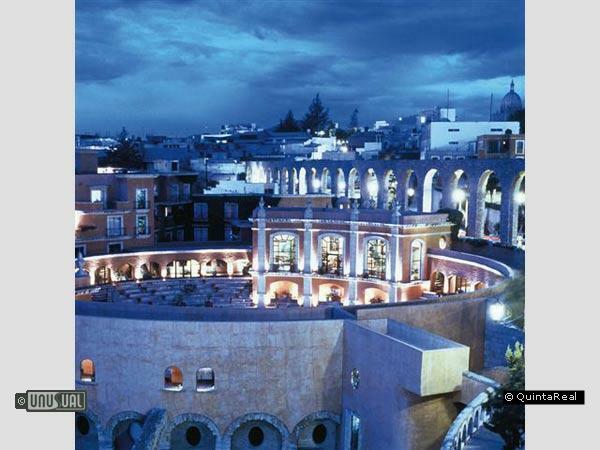 While the many cobbled streets of Zacatecas and historic buildings are the main draw to this UNESCO World Heritage site, take a ride on the cable car. It takes passengers over the town, from one of the old mines to the top of Cerro de la Bufa (2,666 m/8,746 ft) high. The views of beautifully preserved pink stone buildings and the labyrinth of spotless narrow streets that twist and turn through the city are stunning, but not for those afraid of heights. Also, check out the Gonzalez Ortega market for traditional leather and silverware gifts of jewellery. THE MOST BEAUTIFUL HOTEL IN THE WORLD! I BUILD IT IN 1988!